Veja um lado diferente de Veneza neste cruzeiro de meio dia em ilha em torno da Lagoa de Veneza, visitando as ilhas de Murano, Torcello e Burano. 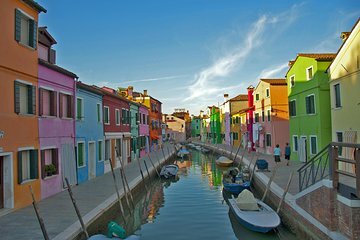 Descubra os segredos do mundialmente famoso vidro de Murano enquanto observa as oficinas de sopro de vidro da ilha; admire as casas coloridas e vilas de pescadores de Burano descontraída e maravilhe-se com os tesouros bizantinos da histórica Torcello. Enjoyed tour. Glad that we brought water bottles with us because they do not have a concession stand on boat. Wear sunscreen. 40 minutes in each place is too short. The glass blower was good but he only made 2 items and it lasted only 5 minutes. 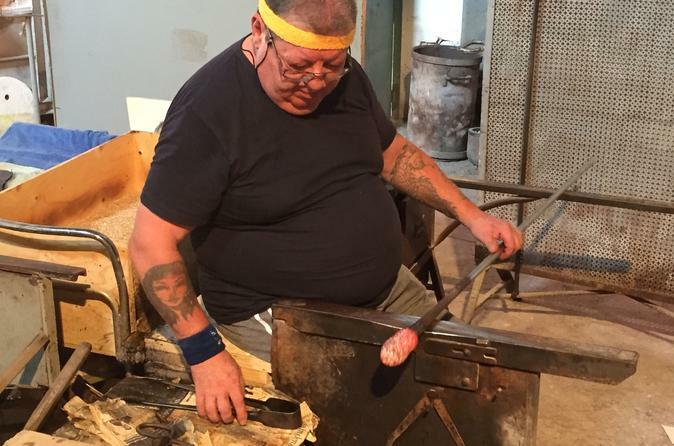 Next time I'd jus go to Murano on my own and spend time finding glass blowers on my own. Waste of money and time. This is a good opportunity to see some of the islands around Venice. The boat was comfortable and warm to get back on after walking around. Murano was limited to a glass factory demonstration and shopping which was fine but there was no opportunity to see the island. Torcello was next and a short walk past some cafes and shops brought us to a fine church. With only 40 minutes on the island and a 10 minute walk each way to the church, time is limited. The highlight for us was Burano. It was getting dark as we arrived and the Main Street and little coloured houses were so pretty. A spectacular sunset and a ride back towards the lights of Venice was lovely. A good taster of the islands. Downsides were that the linguistically talented lady on the microphone was speaking so fast that it was hard to make out what she was saying and that the men on the boat made everyone wait in the cold until the exact time for getting back on arrived. As it was so cold, this seemed a bit unnecessary. Tour may be good, but we ended up not making the tour. Murano was great as we visited a glass blowing factory and saw a demonstration. But the other two islands were a disappointment. Amazing tour. Murano glass factory was breathtaking and informative. Burano was amazing and beautiful. Was nice to see Torcello but not as great as the other two islands. The boat leaves prompt so make sure you arrive back at least 5 minutes before they say. They do not wait for late comers as they have a timetable to stick to. Well worth the money. A good overview of the sites. No guidance but enough time to browse each island and get at least a superficial taste of each.